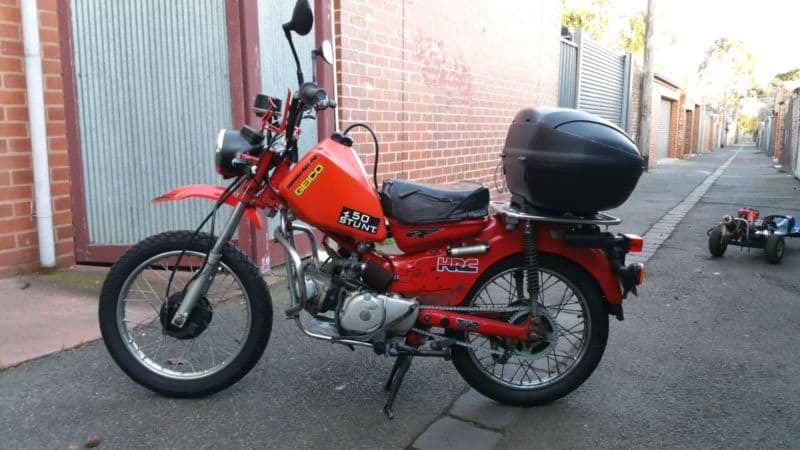 How to Mount a Honda XR250 Tank on a Ct110 Postie. How to Mount a Honda XR250 Tank on a Ct110 Postie: https://www.youtube.com/watch?v=-Bdu98bBVEA XR Tank = 7.9 litres + CT110 Tank = 4.8 litres + CT110 Auxiliary Tank = 2.3 litres; Total = 15 litres x 62 Km/L = 930 km! Melbourne-Sydney on one refill ought to be ENOUGH!